Firstly, my initial expectations of this town either were a large industrial type town, dirty alleyways, not a lot of trees, or a very small town, rural like, with a small industrial area which does not have much of a focus because of deindustrialisation. I was pleasantly surprised! It is so green and lovely, and such a big city! Everyone is surprisingly friendly as well. However, the food and coffee is awful. I need a salad. I need vegetables that are not smothered in oil! I need coffee that isn’t instant, or has been sitting in the grinder for far too long so I get an awful bitter after taste. The tea and cakes on the other hand, quite lovely. I am surprised how the industrial side of Sheffield is still present in daily life. We are focusing on this for our group work, but even when you walk past a building, it is usually abandoned! From the days of deindustrialisation! I just find it interesting that these buildings are still there, the majority have not been rejuvenated into something else and the days of the ‘Steel City’ are still present in daily life. Secondly, my weekend was great! 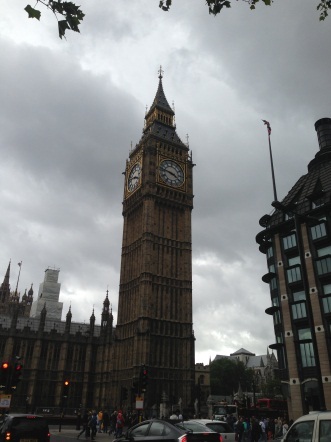 I managed to go to London on Saturday. Such a contrast, and I did find the stereotype of the South to be true, the majority of people were very rude. It was hustle and bustle, people running around trying to get to places in a rush, and a lot of people in general. Perhaps that was due to the Queen’s birthday, but when I was in London the first time I experienced the same thing, busy, rushed, and lots of people. Sheffield on the other hand, as stated previously, many people are very nice, there are not much people here despite being such a large city, and everyone is relatively chilled. 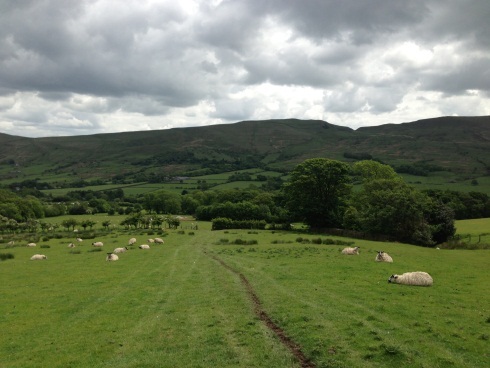 Today, on Sunday, I went to Edale on the purpose of checking out a pub with a friend. However, I managed to bump into a few friends who were going on a walking trail so we combined both activities. Edale was lovely, very rural, country town, cute little houses with flowers. The town is situated between hilly areas, and again there are not many people there. This area is more rural then Sheffield and more isolated as well, but very beautiful. It was interesting to visit two cities that were completely different from Sheffield, as is London was the extreme, of the rush and densely populated city, whilst Sheffield is in the middle, a large city, with no rush and lovely people, and Edale was the other opposite, rural, small, with less people. Overall, my weekend was awesome, and again, it was fascinating to see the differences in three cities in such a short amount of time. So perhaps this doesn’t really convey how busy people are here and the rush of the city, but already a total contrast. A huge building that brings in tourists, Sheffield does not have this. So here, there is a complete contrast to London, and similarities to Sheffield. Rural landscape, no large monuments, very green, and there are a few buildings I got in the background at a faraway distance.